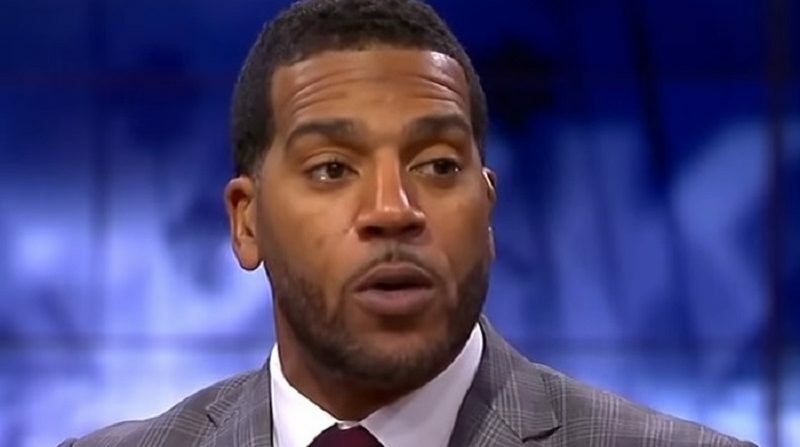 Jim Jackson is finally going to be calling NCAA Tournament games on television this year, and his March Madness starts on Wednesday night. After years of calling the NCAA men’s basketball tournament on the radio and regular seasons on Fox and the Big Ten Network, Jim Jackson is finally getting the opportunity he’s been waiting for. Jackson, 48, will make his TV tournament debut an analyst in Dayton on Wednesday night alongside Spero Dedes, Steve Smith, and Ros Gold-Onwude for the First Four doubleheader of N.C. Central-North Dakota State and Arizona State-St. John’s. He’ll then travel to Tulsa for games on Friday and Sunday, joining the crew of Brad Nessler, Steve Lavin and Evan Washburn for Northern Kentucky-Texas Tech, Arizona State/St. Johns-Buffalo, Georgia State-Houston and his alma mater Ohio State against Iowa State. Jackson spent five years on March Madness duty for Westwood One, even calling a Final Four as a substitute with Kevin Kugler and Clark Kellogg one year when John Thompson II was ill.
Jackson said he got the gig this year through what he termed persistence over time. Jackson was able to get his foot in the door calling NBA games for TNT and NBATV on Players Only, which likely helped his cause in getting in on the NCAA Tournament. Obviously getting the extra reps the First Four games provide will help, but Jackson faces a unique set of circumstances in that he won’t just be preparing for six different games, but also two difference announce teams. Jackson covered St. John’s and Arizona State games this year for Fox, so he’s lucky in that he doesn’t have to do that much preparation for one of his First Four games on Wednesday. And one of those teams will advance to play against Buffalo in one Friday game Jackson will call. Despite that little advantage, Jackson is still going to be thrown off his routine a bit. Jackson also has some familiarity with the analysts he’ll work with. He’s called games alongside Smith for BTN and with Lavin on Fox and FS1. Jackson also won’t find the transition from radio to TV difficult either, he said. The fundamental difference between TV and radio for Jackson is the amount of legwork a radio play-by-play announcer has to do to set the scene, which means less time for the analyst to get their points across. One of Jackson’s frequent broadcast partners is Fox’s Gus Johnson, who’s had many legendary moments and memories calling March Madness buzzer-beaters and upsets during his tenure at CBS. But Jackson said that he and Johnson don’t really discuss his NCAA Tournament days that often. While Johnson’s days calling the tournament have seemingly come and gone, Jackson’s days with Turner and CBS are just beginning. Jackson still remembers nearly 30 years ago when he was a freshman at Ohio State, being with his team on selection Sunday when his Buckeyes were sent to the NCAA Tournament and how that’s still one of his favorite collegiate moments. And now for the first time on television, Jackson will try to channel what those players and teams are feeling on the court to March Madness viewers tuning in from across the country and around the world.